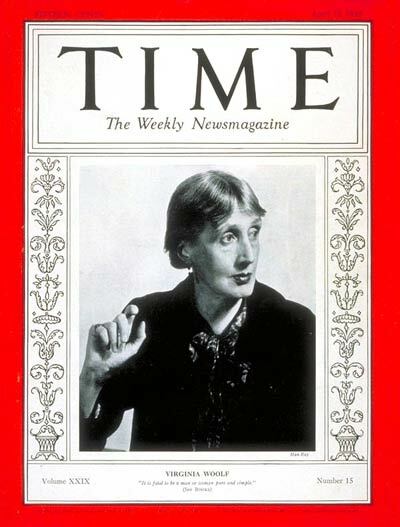 Glenn Horowitz Bookseller, Inc. is staging the exhibition Virginia Woolf: The Flight of Time. The exhibition, which is open to the public, runs Nov. 21 through Jan. 14 at the Forbes Galleries, at the corner of Fifth Avenue and 12th Street in New York City. The Radev collection, containing works by artists including Amedeo Modigliani, Graham Sutherland and Alfred Wallis, can be viewed online. Selected works will also go on display at the Pallant House gallery in Chichester before touring to Lincoln, Bath, Falmouth and Kendal. Broadway veterans Ellen McLaughlin, Tom Nelis, and Henry Stram will be featured in the world premiere of Septimus and Clarissa, adapted by McLaughlin from Virginia Woolf’s Mrs. Dalloway. Rachel Dickstein will direct the production, presented by Ripe Time at Baruch Performing Arts Center, 55 Lexington Ave. in New York City, Sept.7 to Oct. 8, with an opening on Sept. 15. Tickets are $40 for general admission, $20 for Baruch faculty and students, and $30 for those in the industry. A call of nature leads to a chance meeting with Virginia Woolf and Ophelia in the ladies’ loos. From June 23-25, The Lowry theater will play host to Theatre Ad Infinitum’s The Big Smoke, a one-woman show sung a cappella by Canadian actress Amy Nostbakkan and directed by Nir Paldi. The show has been inspired by the lives and works of Virginia Woolf and American poets Sylvia Plath and Anne Sexton. The Lowry is set in a waterside location at the heart of the redeveloped Salford Quays in Greater Manchester, The address is Pier 8, Salford Quays, M50 3AZ. Box office telephone: 0843 208 6000. Titled “Patti Smith: Camera Solo,” the exhibit will be held Oct. 21, 2011-Feb. 19, 2012, at the Wadsworth Atheneum in Hartford, Conn. It will include approximately 60 black and white photographs and two multi-media installations. The show features works made between 2002 and 2011, including images of Monk’s House, Virginia Woolf’s country retreat in Sussex, England. View a slideshow of the photos. The conference is being held in the Gilbert Scott Building, and the plenary sessions will be housed in Bute Hall, which was designed by Sir George Gilbert Scott and built between 1878 and 1884. The play Vanessa and Virginia, based on Susan Sellers’ novel by the same name, will be staged June 10. Written by Elizabeth Wright, it will tour internationally from September 2011 through August 2012. A specially designed poster for the event will be available as a postcard at the conference as well. 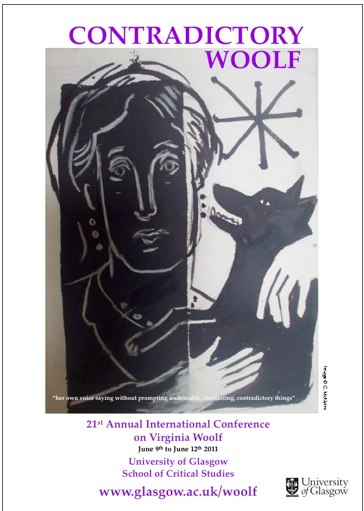 Find information about past Virginia Woolf conferences here. Sara Ruhl’s Orlando is on stage April 28-30 at 8 p.m.; and Sunday, May 1, at 7 p.m. Tickets are $15 for adults and $8 for patrons 17 and under. The production is recommended for mature audiences. Performances are in the Dorothy Hess Baker Theatre, in the Trexler Pavilion for Theatre & Dance at Muhlenberg College in Allentown, Penn. Call 484-664-3333 or visit the website for tickets. The Elite Theatre Company will present the world premiere of Arthur Kraft’s drama Goat, about what might have happened if a psychologist had prevented writer Virginia Woolf from committing suicide in 1941. Performances are 8 p.m. Fridays and Saturday and 2 p.m. Sundays, April 22 through May 29 at the Petit Playhouse, Heritage Square, Oxnard, Calif. Tickets are $17 for adults and $15 for seniors and students. For reservations, call 805-483-5118. Read more.